Anomodon attenuatus. May 14, 2011. Hocking County, Ohio. 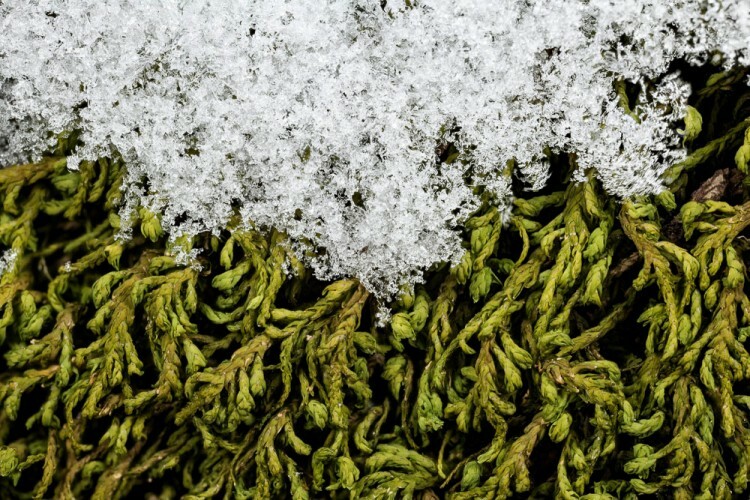 Anomodon attentuatus in the snow along Alum Creek in Delaware County. Jan 24, 2013. 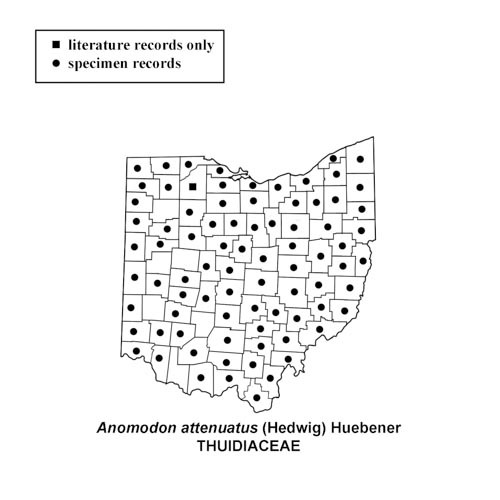 Anomodon attentuatus. Straight Creek Preserve. Pike County, Ohio. September 5, 2014. 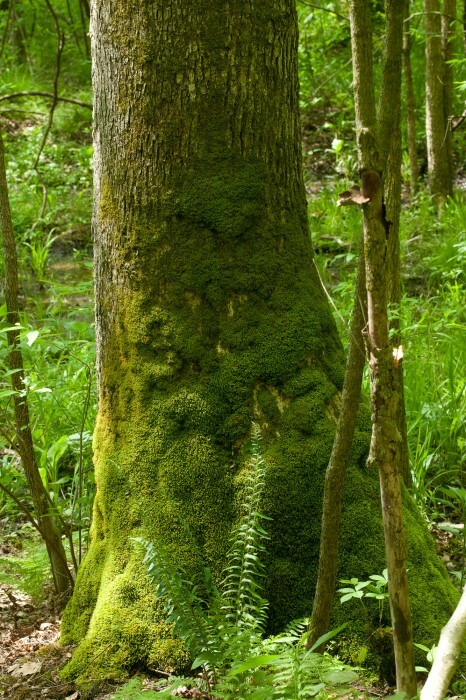 How to recognize Anomodon attenuatus: This moss forms mats of branched green plants on the base of trees in what the British refer to as the “canine zone.” The leaf cells each have several papillae or little bumps which give it a dull non reflective surface. When it is dry the stem and branches have a long tapered “attenuate” appearance, although in the early spring when it begins to grow the stem and branches are making new leaves so quickly that the tapered appearance is absent and the ends of the branches are knobbed. When the plants are wet the leaves move away from the stem and look flattened from above. Under the microscope the papillae can be easily seen along the edge of the leaf as tiny projections and form a papillose crenulate margin. 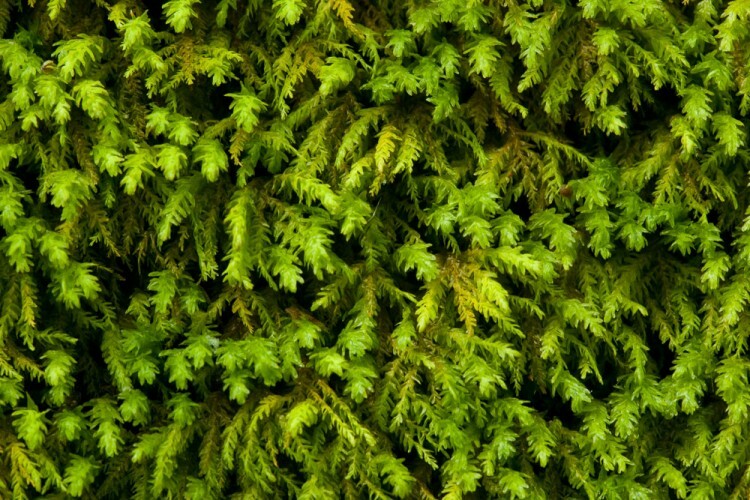 Most moss leaves have only a single thickness of cells except in the midrib or costa. The single costa does not extend to the acute, often serrulate (slightly toothed) leaf tip. 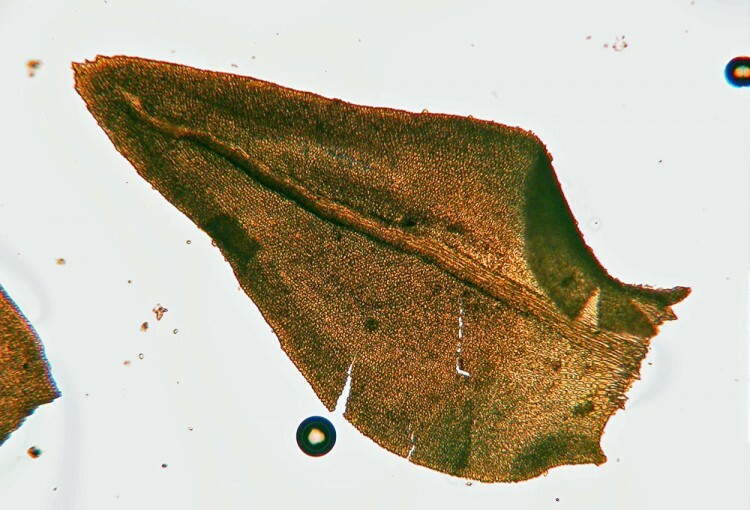 The cells at the leaf tip are round and become longer at the base of the leaf where extensions of the leaf form decurrencies along the stem. 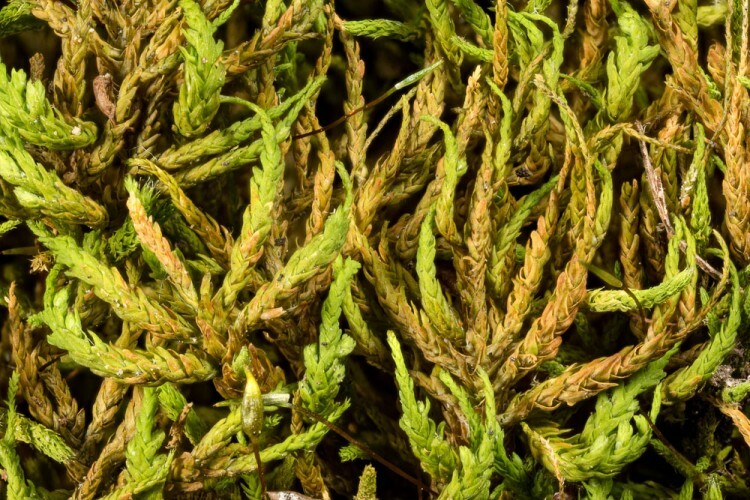 Where to find Anomodon attenuatus: This moss is usually found on tree bases, and on limestone rocks or concrete bridge abutments.